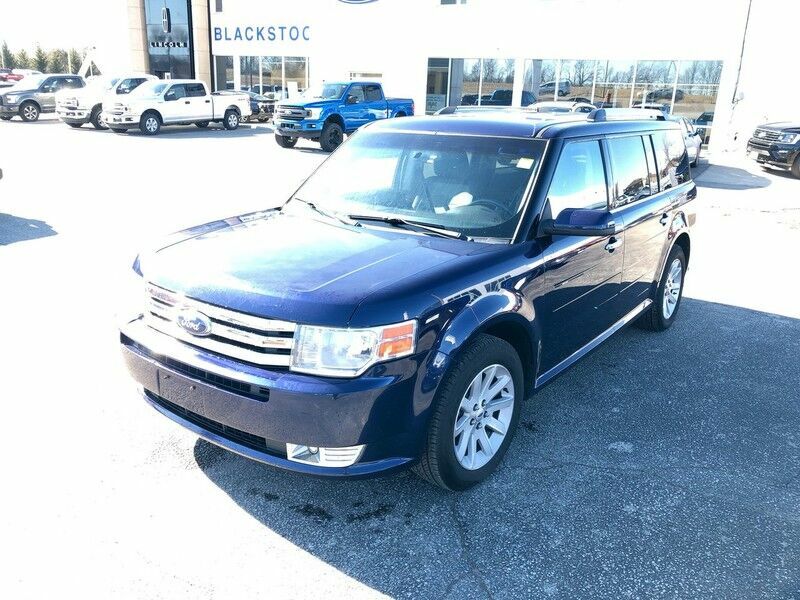 Thank you for visiting another one of Blackstock Ford Lincoln's online listings! Please continue for more information on this 2015 Ford Focus SE - Certified with 48,290km. Reliability is something you can count on when you purchase a Certified Pre-Owned vehicle like this Ford Focus SE - Certified. It's not often you find just the vehicle you are looking for AND with low mileage. This is your chance to take home a gently used and barely driven Ford Focus. Just what you've been looking for. With quality in mind, this vehicle is the perfect addition to take home. The quintessential Ford -- This Ford Focus SE - Certified speaks volumes about its owner, about uncompromising individuality, a passion for driving and standards far above the ordinary. WHY BUY FROM BLACKSTOCK FORD LINCOLN Our motto is "You Drive Us To Be Different" What does different mean? Live Market pricing competing fairly with integrity Readers Choice Multiple Year Winner Best New Car Dealer, Used Car Dealer, Auto Service Centre for Dufferin County The purchase price is just the beginning. We do not sell or recommend Protection Products that do not have integrity. We do not sell Rust Modules, only Rust Check Spray. The products we do offer, we do not hire third parties. We are direct and approved centre for 3M Paint Protection Film and Ceramic Window Tint. GTechniq Smart Surface Science for Paint and Interior Surfaces We do not sell any product or warranty that we have a hidden ownership stake in. Financing and Leasing Solutions that offer the best rates available that treat everyone fairly and with integrity. Used Vehicle Reconditioning that goes well beyond safety standards. Example brakes with at least 40% wear remaining (Certified Pre Owned 50%). We only offer Extended Service Plans from Ford Motor Company. FINANCING AND CREDIT - Our credit team will work hard to secure you the most favourable terms for you. Your privacy is assured and regardless of your credit rating , simply click the Get Financing Button for a pre-approval quickly and easily. Everyone who handles your application is licensed by OMVIC , the Ontario Motor Vehicle Industry Council. Blackstock Ford Lincoln has a wide selection of exceptional pre-owned vehicles to choose from, including this 2018 Ford Focus. Just what you've been looking for. With quality in mind, this vehicle is the perfect addition to take home. The Ford Focus Titanium will provide you with everything you have always wanted in a car -- Quality, Reliability, and Character. This is about the time when you're saying it is too good to be true, and let us be the one's to tell you, it is absolutely true. You can finally stop searching... You've found the one you've been looking for. Certified Pre-Owned: 172-point inspection, 12 month/20k warranty, 24 roadside assistance and special financing rates all included! You can find this 2015 Ford Fusion S and many others like it at Blackstock Ford Lincoln. This is the one. Just what you've been looking for. This Black Ford is clean and shiny exterior makes it look like it came straight from the factory. Look no further, you have found exactly what you've been looking for. This is about the time when you're saying it is too good to be true, and let us be the one's to tell you, it is absolutely true. WHY BUY FROM BLACKSTOCK FORD LINCOLN Our motto is "You Drive Us To Be Different" What does different mean? Live Market pricing competing fairly with integrity Readers Choice Multiple Year Winner Best New Car Dealer, Used Car Dealer, Auto Service Centre for Dufferin County The purchase price is just the beginning. We do not sell or recommend Protection Products that do not have integrity. We do not sell Rust Modules, only Rust Check Spray. The products we do offer, we do not hire third parties. We are direct and approved centre for 3M Paint Protection Film and Ceramic Window Tint. GTechniq Smart Surface Science for Paint and Interior Surfaces We do not sell any product or warranty that we have a hidden ownership stake in. Financing and Leasing Solutions that offer the best rates available that treat everyone fairly and with integrity. Used Vehicle Reconditioning that goes well beyond safety standards. Example brakes with at least 40% wear remaining (Certified Pre Owned 50%). We only offer Extended Service Plans from Ford Motor Company. FINANCING AND CREDIT - Our credit team will work hard to secure you the most favourable terms for you. Your privacy is assured and regardless of your credit rating , simply click the Get Financing Button for a pre-approval quickly and easily. Everyone who handles your application is licensed by OMVIC , the Ontario Motor Vehicle Industry Council. Blackstock Ford Lincoln brings you this incredible Fusion Energy Factory Demo at incredible savings. MSRP is $41,590 and includes every safety, luxury and technology feature available on a Fusion. With a Plug In Hybrid you get the fuel savings of a Full Electric and the convenience and range of Hybrid Electric With Gas Engine. With less than 2,000 kms it is obviously in new condition. Factory Warranty includes 8 Years or 160,000 kms from original in service date(Jan 15 2018) on Battery, Transmission and Unique Hybrid Electrical Components. This Ford includes: EQUIPMENT GROUP 850A EBONY, HEATED/COOLED LEATHER BUCKET SEATS Seat Memory Power Passenger Seat Power Driver Seat Heated Front Seat(s) Passenger Adjustable Lumbar Leather Seats Driver Adjustable Lumbar Bucket Seats Adaptive Cruise Control Lane Keep Assist Power Moonroof Remote Start Heated Steering Wheel TRANSMISSION: E-CVT AUTOMATIC (STD) CVT Transmission A/T ENGINE: 2.0L 4 Cylinder Engine Plug-In Electric/Gas VELOCITY BLUE Equipped with many extra features, this well-appointed vehicle is a treat to drive. Added comfort with contemporary style is the leather interior to heighten the quality and craftsmanship for the Ford Fusion Energi Where do you need to go today? Just punch it into the Ford Fusion Energi on-board navigation system and hit the road. Blackstock Ford Lincoln is honored to present a wonderful example of pure vehicle design... this 2018 Ford Mustang EcoBoost Premium Convertible only has 12,881km on it and could potentially be the vehicle of your dreams! This Ford includes: BLACK ACCENT PACKAGE Tires - Front Performance Aluminum Wheels Rear Spoiler Tires - Rear Performance TRANSMISSION: 10-SPEED SELECTSHIFT AUTOMATIC Remote Engine Start Transmission w/Dual Shift Mode A/T 10-Speed A/T VOICE-ACTIVATED TOUCHSCREEN NAVIGATION SYSTEM Navigation System *Note - For third party subscriptions or services, please contact the dealer for more information. * With adjectives like sporty, classy, and downright indulgent to describe the 2018 Ford Mustang EcoBoost Premium Convertible, you'll love every minute of owning and driving this convertible. You may never go back to a closed-cabin car! You deserve a vehicle designed for higher expectations. This Ford Mustang delivers with a luxurious, well-appointed interior and world-class engineering. Where do you need to go today? Just punch it into the Ford Mustang on-board navigation system and hit the road. Added comfort with contemporary style is the leather interior to heighten the quality and craftsmanship for the Ford Mustang WHY BUY FROM BLACKSTOCK FORD LINCOLN Our motto is "You Drive Us To Be Different" What does different mean? Live Market pricing competing fairly with integrity Readers Choice Multiple Year Winner Best New Car Dealer, Used Car Dealer, Auto Service Centre for Dufferin County The purchase price is just the beginning. We do not sell or recommend Protection Products that do not have integrity. We do not sell Rust Modules, only Rust Check Spray. The products we do offer, we do not hire third parties. We are direct and approved centre for 3M Paint Protection Film and Ceramic Window Tint. GTechniq Smart Surface Science for Paint and Interior Surfaces We do not sell any product or warranty that we have a hidden ownership stake in. Financing and Leasing Solutions that offer the best rates available that treat everyone fairly and with integrity. Used Vehicle Reconditioning that goes well beyond safety standards. Example brakes with at least 40% wear remaining (Certified Pre Owned 50%). We only offer Extended Service Plans from Ford Motor Company. FINANCING AND CREDIT - Our credit team will work hard to secure you the most favourable terms for you. Your privacy is assured and regardless of your credit rating , simply click the Get Financing Button for a pre-approval quickly and easily. Everyone who handles your application is licensed by OMVIC , the Ontario Motor Vehicle Industry Council.